The days are getting shorter and chillier, but my kids are still trying to soak up every minute of daylight they can after school and on the weekends. They love playing with all of their neighborhood pals, and are always coming up with their own pretend play scenarios or strategic variations of tag. Having plenty for them to do outside is a win/win situation for all of us. Zing is a company out of Hong Kong that strives to make high-quality toys for action play. Their mission is to promote a healthy lifestyle for kids by creating a wide range of dart blasters, rockets, and bows that will encourage kids to get outside and off their electronics. 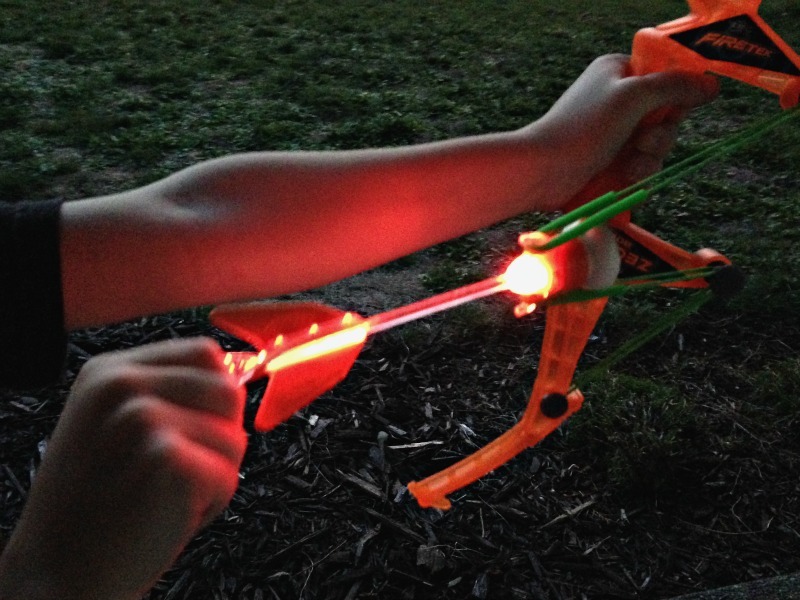 The Zing Firetek Zeon Bow has been a fun bow for the kids to play with on their outdoor adventures. This little Firetek Zeon Bow is about 15 inches long, and comes with three Zartz Blaze arrows. These arrows have soft foam suction on their tips, and are capable of flying 35 feet. They also have an on/off switch to make them light up in the dark. This is simple pull and release bow, where the user hooks the arrows to the bungee loops on the front, gives a good pull back, and releases. 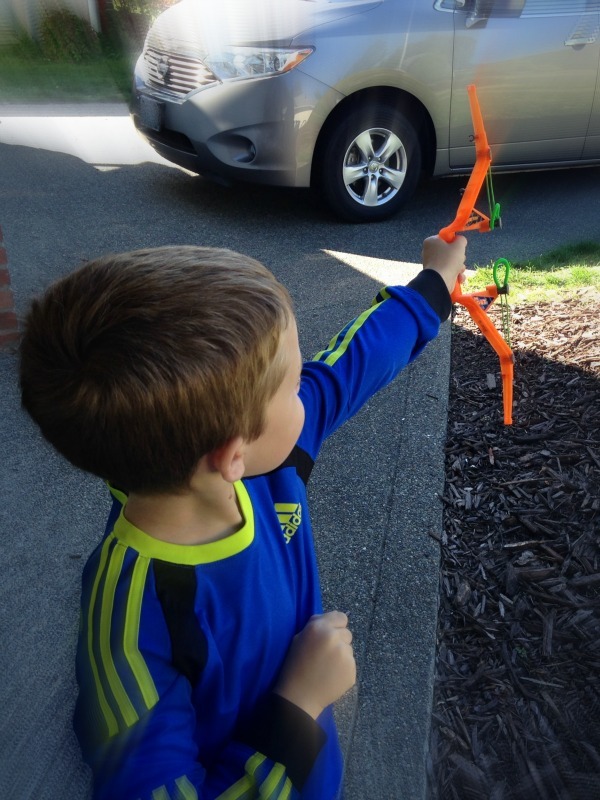 The Firetek Zeon Bow has been a really easy to use bow for my 6-year-old son. The bow itself is lightweight, and with a little practice he’s able to launch the arrows quite well. The light up feature on the arrows has been a big hit at dusk, not only for how cool they look, but also for how easy it is to find them in the dark. 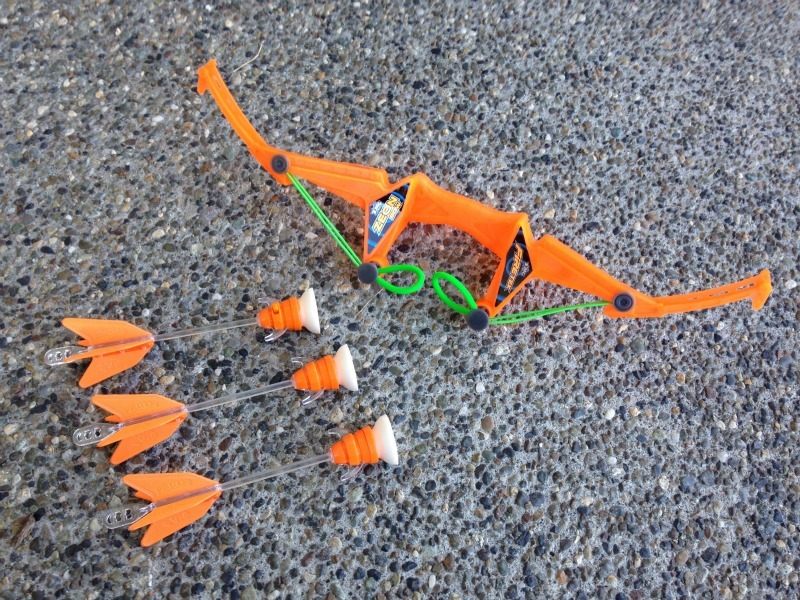 When not in use, the bow has a couple tiny clips on the bottom where the arrows can be attached. We don’t have to waste time hunting the arrows down every time someone wants to use the bow, so I appreciate that small feature. This bow can definitely be used for indoor use as well provided there is enough space to let it launch. If you know of a boy or girl around 5 years or older who has a knack for outdoor adventure, or is getting into bow and arrows, the Firetek Zeon Bow would be a great beginner bow for them. They retail for $14.99 and come in orange or green. To see more of the live action toys Zing offers, head over to www.zingtoys.com. You can also check them out on Facebook and Twitter. What a cute fun toy that my son would love to play with! I like the colors and he would have a blast playing with his friends. I will have to check it out-great gift for Christmas! This is a great idea kids need to be outdoor playing not sitting in front of television. Cute toy make great christmas gift idea. That looks so cool for kids. Love how it lights. Fun to get outside. That looks like loads of fun. I love the light feature and would be so much fun for the grandkids. I have 3 boys – I think they would have a ton of fun with this! I am up for trying anything that gets them outside running around like little crazy guys! That’s a cool toy! I love that we have more toys like this one, to keep kids active instead of letting them sit around the house and tinker with their gadgets. What a cool and fun toy. I have nephews who would love to play with this. Today was the first time I’ve heard of Zing. I do really like their toys. This one looks FUN! Oh my, my son would just love this! He’s always begging for some kind of archery thing.